Wiligi is a beautiful remote and natural ‘Outstation’, providing accommodation and camping facilities. There are no shops or fuel available and you must supply all your personal and food needs during your stay. Reuben and will try to help out where possible. Trips, accommodation and all needs can be discussed. 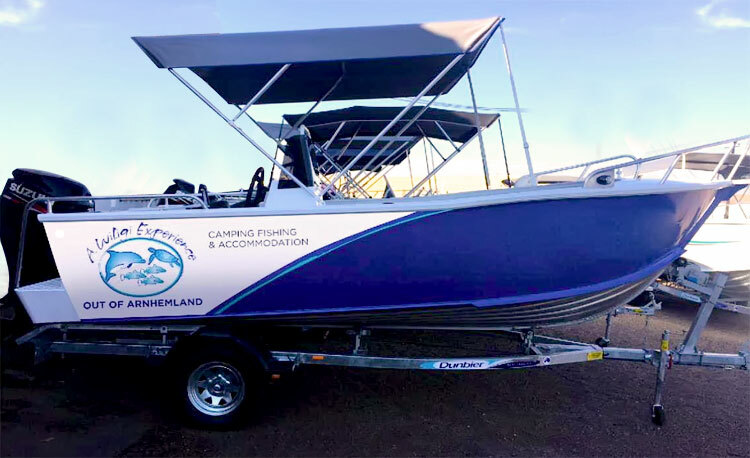 For visitors that would like to stay during the wet season will enjoy a totally different experience with excellent fishing, beautiful sunsets, cooling rain and beautiful storms over the ocean. 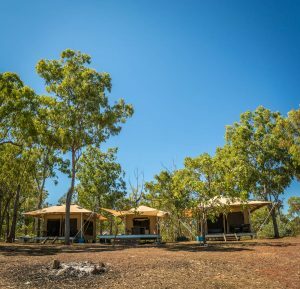 Wiligi Outstation started out as a camping and fishing camping area, over 13 years ago, and has recently been able to offer accommodation, with the introduction of a Log Cabin and the construction of the Eco tent complex, all accommodation comes with self contained kitchens and all bedding supplied. 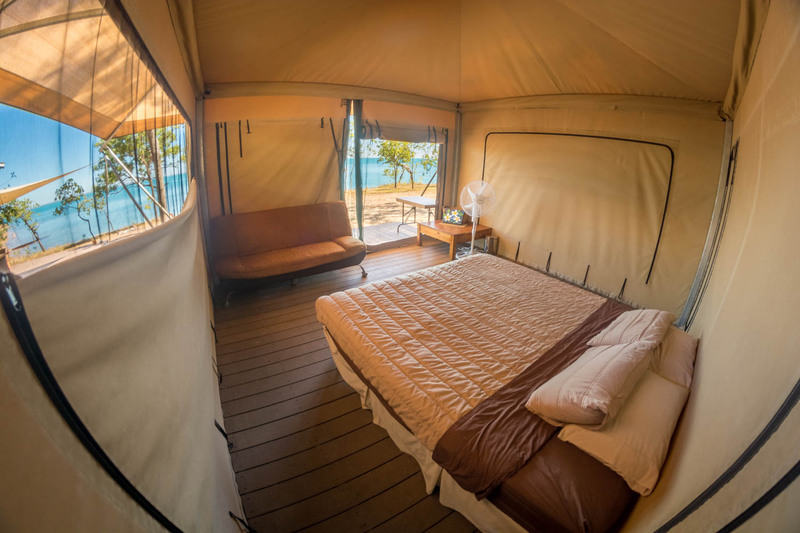 The eco tent accommodation, or “Eco Glamping Accommodation”, has everything you will need to be one with nature including being protected from bugs and enjoying a stay in total luxury and comfort. The complex is built to take in all the natural breezes, and views, and features two rooms for accommodation both with private Balinese style en-suites, a private deck area and comfortable beds. All bedding is supplied and each room can sleep up to 2 to 3 adults or a family of 2 adults and 2 children. The rooms can be configured to meet your requirements. 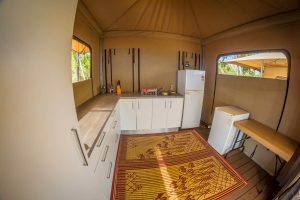 The complex also has a fully self contained kitchen area, including a full size fridge and a small fridge per room, fans and a large deck area with a barbeque area for dining and entertaining. The deck looks over Mount Norris Bay and has the most spectacular views including sunsets over the bay. The complex can be rented as one unit for a family, and/or friends, or one room can be rented with the kitchen and living area shared. 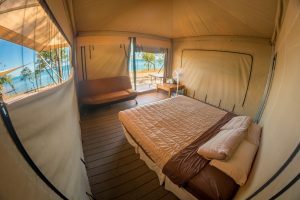 The cost to stay in the Eco Glamping Accommodation is $275.00 per room per night, or $475.00 per night to hire the complete complex. Additional cost – One off Royalties payment of $33.00 per adult person. 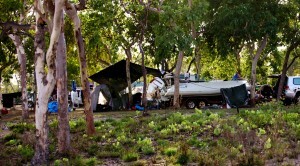 The large camping areas have shade, beautiful views and a camp fire area. There is plenty of wood available to collect for your camp fires, there is drinking water and newly constructed in 2013 flush toilets and showers, cold water only. Campers are welcome to bring their own boats. Keen to go fishing? ‘Boat Hire’ is available, book in advance to avoid disappointment View our fishing image gallery here. There are a range of experiences at Wiligi. 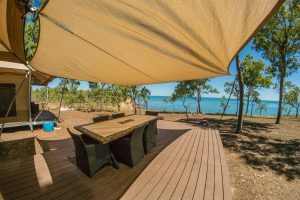 View our Arnhemland gallery here. 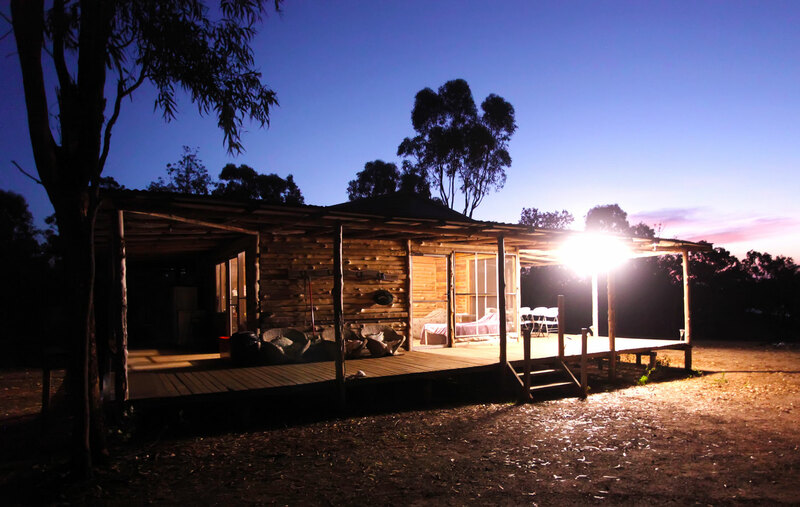 The cabin has been built on site, and the wood hand sawn from local Cypress pine, electricity is powered by a quiet generator that supplies fans, lights, a full size fridge and freezer. 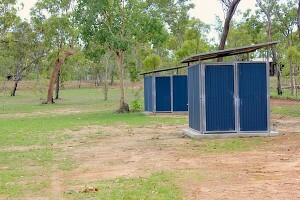 The cabin sleeps up to a maximum of 6 people and all bedding is supplied. The log cabin accommodation has a fully equipped kitchen, drinking water and a camp fire area. 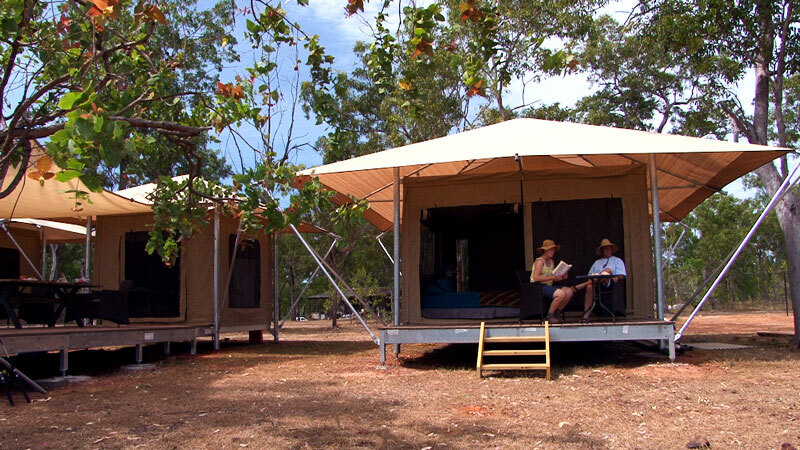 There is plenty of shade with verandahs on four sides and off the ground. The beautiful natural breezes flow through and the views will amaze you. The cost to rent the cabin is $275.00 per night, for four adult people and $33.00 additional per person up to 6 people. Note:All camping and accommodation prices must add a once per trip of $33.00 per adult person royalties payment. * Your rubbish is collected daily, and must be bagged and protected from predators. * Crows and dingoes will steal your most prize processions if they are left out unattended. * Alcohol is allowed to be consumed at Wiligi Outstation. 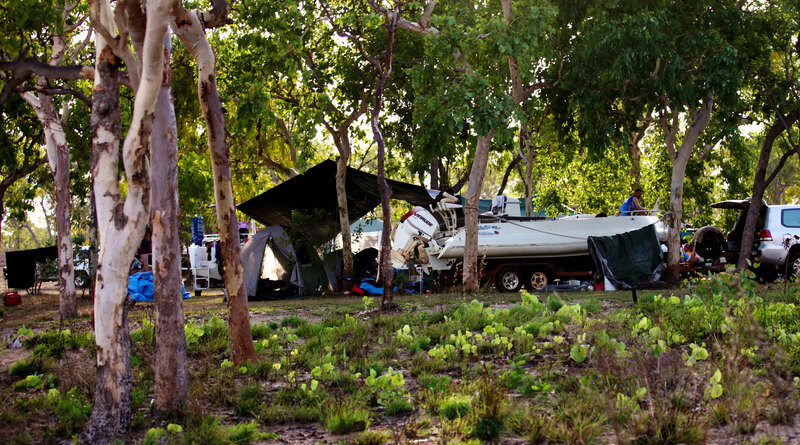 * Once you enter Arnhemland until you arrive at your accommodation no alcohol will be allowed to be opened or consumed, heavy penalties apply for any persons caught drinking whilst travelling.